Yes! Boxed wine is dismissed by alot of people, but if you give it a try you might be suprised at what you find. Vineyards are discovering new ways to keep the good taste in boxes. Franzia Red Sangria is one of them for me. With its Citrus flavors all you have to do is serve it chilled with some fruit. 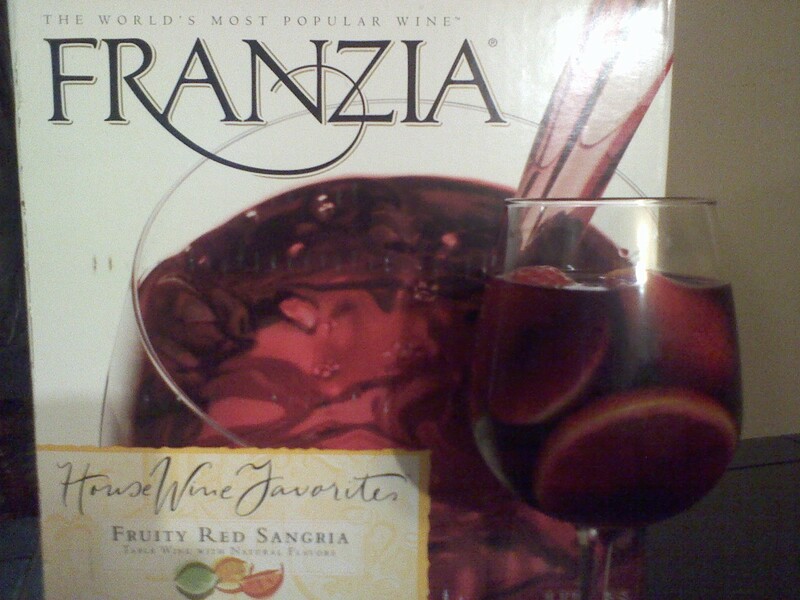 Although Franzia is not my preference in the boxed wine brand, I really enjoyed this one. I give this a 8 out of 10. Previous Post No, I Don’t Wanna! Have you tried the OPICI Boxed Sangria? This is incredible and very inexpensive. I am not a boxed wine person and we loved this!! That’s literally what I’m drinking as I read this post. I agree, I really like it, it takes longer before it starts tasting like vinegar, it’s cheaper, you don’t have to finish a whole bottle in one night and there’s a lot more than there is in a bottle. Now, that’s not to say that I don’t have a nice bottle of ice wine over there waiting to be opened, but on a Wednesday night, this is perfect.